The kitchen is the hub for the modern home. From being the traditional area of cooking and dish washing, the kitchen has transformed into a multi-purpose room. The range of appliances has widened and the modern versatile kitchen needs to adapt to these changing needs. Any kitchen remodeling idea seeks to increase the floor space and improve the efficiency of the kitchen. 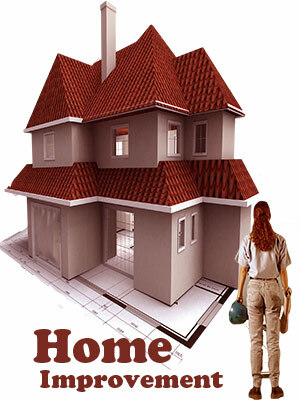 The design elements must be in harmony with the architectural style of the home. There is no dearth of ideas for a new look kitchen - from cabinets to flooring, countertops and appliances. Remodeling the kitchen need not be a big budget exercise. Look up some tips on budget kitchen renovation. Find out how small kitchen remodeling can work wonders on the efficiency and aesthetics. With the increasing demand for new look kitchens, the $214 billion remodeling industry is projected to grow to $224 billion or more. You can utilize the services of a kitchen designer to help you plan your kitchen space. A certified kitchen designer from the National Kitchen and Bath Association can relieve you of the bother of measurements, material coordination and construction logistics. The kitchen remodeling designer will create designs and draft perspectives so that you can finalize on one that suits your requirements and budget. He can coordinate the work plan with the contractors and oversee the design elements too. The focal points of any kitchen remodeling idea should be accessibility, ease of storage and use. The color scheme and balance of design elements is critical since an overly done-up kitchen can be too overpowering. Drawer dividers, lazy Susans and roll out shelves and recycle bins need to be properly planned out so that space is optimized. Keep energy efficiency in mind while purchasing home appliances. If the clean lines of a European-style kitchen are what you seek in your kitchen, adopt remodeling ideas such as built-in cabinets for appliances such as refrigerator and microwave oven and opt for traditional cabinetry. The modern steel and chrome kitchen is a favorite with some. Yet another kitchen remodeling idea is to opt for a cheery country style kitchen - warm toned tiles, hardwood flooring, pot racks and all! The process of remodeling a kitchen may involve demolishing a part of the existing structure and layout or may be restricted to merely surfacing jobs. It is best to check out the plumbing and wiring at this stage so that the problems can be attended to. Define your kitchen workspace. The layout is the essential part of any new look kitchen. Work around the space in the best possible way to incorporate your basic requirements in the kitchen. Plan out the workspace. The kitchen island or peninsula can give you a clearly defined work area. It also makes for an ideal conversation circle. The work triangle must be compact so that it reduces movement time between the key appliances and yet allows enough legroom. Pans, colanders, bowls, plastic containers and serving pieces need to be stored in appropriately. You can replace the flooring if it is old or worn out. The options for kitchen flooring are many - vinyl flooring, tiles, parquet and linoleum. Replace old kitchen countertops with either sturdy inexpensive ones or fancy ones. Install composite sinks as they can withstand rigorous wear and tear. Select the cabinetry that best suits your needs and budget. 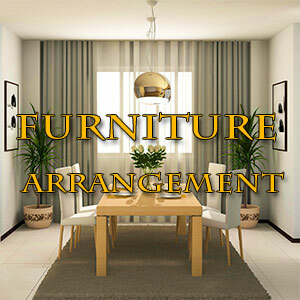 There are various options available - wood veneer cabinets, painted ones, laminates or solid wood ones. The kitchen cabinet design must involve staggering height, length and depth so as to avoid a monotonous look. Stock cabinets are easy to fit and you can have a new set of cabinets in a jiffy. 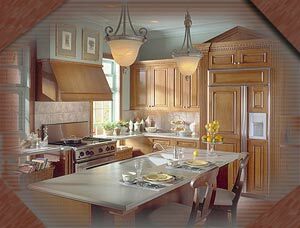 But such kitchen cabinets offer limited surface finish options. Choose kitchen cabinets in a style and color that blends with the rest of the home. Go in for warm brown oak or traditional Victorian paneling on cherry brown wood to blend with your Victorian furniture. Elegant honey- colored cabinets provide the traditional English country home flavor. Contemporary kitchen cabinets in stainless steel and metal hardware provide a sleek and simple look. Use the cabinet space to best advantage. Use vertical dividers to utilize the space better. Keep your expenses in check with budget kitchen remodeling. You can use innovative yet inexpensive ideas to spruce up your existing kitchen. Painting the cabinets and the kitchen can give a facelift that is much needed. You can even attempt a do-it-yourself painting job. Play around with the lighting to provide a sunny and cheerful ambience. Use task lights and indirect lighting to best advantage. Under counter lighting and halogen lights can lend an appearance of spaciousness. You can scout around for bargain sales and wholesale outlets for plumbing supplies, kitchen goods and furniture. Budget-friendly tiles can add a splash of color to your old kitchen. You can use online home improvement stores and auction sites to locate used furniture or other kitchen gadgetry. The problem of storage looms large in most kitchens and more so for small kitchens. Plan out deep cabinets and work it suitably in the layout so as to make for more efficient handling. Space saving gadgets and designs can help you remodel a small space into an efficient kitchen. Built-in areas for appliances can go a long way in making a kitchen appear less cluttered. Do not place too many appliances on the countertop, as it would limit the working space. Put wire baskets and storage products to best use. Rolling carts can be stacked with extra items of grocery and tucked under the countertop or table. You can resort to open shelving since standard cabinets might give a small kitchen a claustrophobic look. It can also serve the purpose of displaying your favorite china or as a wine rack. From being a place where food was cooked and dishes were washed, kitchens are now well-lit open family spaces where you entertain and spend fun-filled times with the family. Use your kitchen's décor to reflect your personality. First Published Date: 1 Nov 2006 Last modified Date: April 18 2019 This page may have been updated recently as new information is available or the content may have been edited for better readability.